With all of the risks of identity theft we subject ourselves to, the dangers are even greater when we’re away from our homes. When we go on vacation or travel for work, we are relinquished of that security that comes with our home and in more ways than one. The control we feel when being at home is invaluable. A home is a sanctuary and a safe haven, and once we physically step away from that, our possessions and belongings become exposed, as do our identities and personal information. A vacation is a time to get away and set aside all of your daily trials and tribulations. It should serve as a fun, stress-free journey where you can put your personal life on hold temporarily. Even on a business trip, it should be an experience and opportunity to see and do something new. In neither event should one be overly concerned about having their identities stolen. Yes, it’s imperative to be cognizant of the possible ripple effects of such, but it shouldn’t be at the forefront of your attention when you’re trying to enjoy yourself. How can someone steal my information if I’m away? Have you or anyone you know ever had their wallet lost or stolen while on vacation? It’s the ultimate “oh no” moment. For one thing, if you lose a license or passport, you will more likely than not having big time troubles getting back home. If you’re traveling internationally, your passport is the single most important priority, second only to health and safety. When it comes to tangible, physical possessions, your passport/ID is número uno, without exception. Pickpocketers continue to provide a threat to travelers and tourists all over the world. Whether walking in busy city streets, traveling via crowded trains, or more, it’s important to be vigilant and mindful of your surroundings so that you don’t realize when it’s too late. Renting out your home to other people for short stays, via services like Airbnb, has become increasingly popular amongst identity thefts. The LA Times has reported, upon completion of a 1000-person sample size survey, that 41% of Airbnb renters have snooped around the private homes they’ve stayed in. You think that’s bad? Airbnb has said that their most frequent customers fall under the ‘millennial’ category, and 57% have admitted to snooping. It’s safe to assume many people neglected to admit their transgressions, so those numbers, respectively, are most likely even higher than reported. The LA Times has labeled this trend as a growing “phenomena” in the digital age. With easy access to personal files and other information homeowners keep in their houses, it’s no wonder why this is a budding issue. Inversely, there is virtually zero personal information to snoop through when staying at a hotel, for example. Airbnb says they will pay for all identity repair services, but that doesn’t change the fact that by renting out your home or apartment you’re also opening yourself up to that threat. I know what you’re thinking; you’ll just keep your wallet in your front pocket, and you’ll never rent out your home to strangers. It sounds like you’ve got it all figured out now, right? Wrong. Naivety is essentially an open invitation to steal your identity. These identity thieves, frauds, and scammers are often professionals, and at an international level, they’ve upped their commitment in terms of the sophistication of their methods. One viral video in particular shows an American man, who just so happens to work in the cyber security space, identified a breach in the ATM machine outside his hotel. Someone took the time and effort to make a near identical copy of the contraption that you would insert your ATM card into. This “copy”, however, had a device on it that would read any card put into it. The odds that one person with an expertise in cyber security walked over to that ATM machine at that location in Vienna, Austria are almost astronomical. Who knows how long that trap had been set or how many card numbers were stolen up to that point. It could be hundreds if not more. 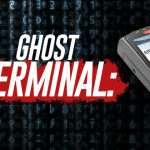 Having your wallet lost/stolen, renting out your home to someone who will snoop through your belongings, and ATM traps are only a few of countless ways to have your identities and information abducted while you’re away. How can I prevent identity theft while traveling? The facts are rather daunting, there’s no doubt about that. But if you have enough awareness and care enough to take precautionary measures, you can significantly help your chances of preventing something like this. Thankfully, there are quite a bit of people out there who also care. Studies have been done and articles have been written to spread awareness and help others from encountering these potential problems. There are many helpful tips and tricks to ensure your own personal safety as well as the security of your identity and important documents and information. One highlight from the list is the recommendation to use cash whenever possible. This eliminates the threat of hacked ATM machines or, in general, having your card number stolen. It’s highly advised to put a pause on your mail service while you’re away. The most common action is to have a trustworthy friend or neighbor hold onto it, but why risk it? Some people are too lazy to even do that, and their mail piles up in their mailbox just waiting for them, or anyone else, to retrieve it. Bank statements, credit card bills, and classified medical information goes in and out of mailboxes daily. Don’t risk something terrible happening to those documents; do the smart thing and stop the delivery while you’re away. I’ve listed a few useful tips to prevent someone stealing your information and/or identity while you travel. Above all else, having a good head on your shoulders and using common sense are great tools to avoid identity theft. What should I do if my wallet/identity gets stolen while I’m away? Back in 2008, the Transportation Security Administration (TSA) reassured travelers not to panic if they lost their ID or had their wallets stolen. If the proper procedures are followed, you should still be able to fly and get home. With that said, that does not, whatsoever, diminish the perils of losing or having a wallet/identity stolen. Dealt with on an individual and circumstantial basis, the TSA typically will work with you the best they can to validate your identity and travel reservations. Filed under the ‘Travel Tips’ section, the USA Today transcribed a simple five part to-do list if you do fall victim to identity theft, lose your wallet, etc. while you’re traveling. Headlining the checklist is what all people should do who experience any form of identity theft: file a police report. Not only will that be the first step towards catching and stopping the thief/thieves, but it will also help with your travel plans. If the police are aware of the situation, it will undoubtedly boost your chances of getting through security and boarding your flight. Showing up earlier than usual to the airport, with a police report in hand along with a readiness to explain in full the scenario at hand, are also imperative actions to take. Arriving as prepared as permitted is a great way to fulfill your travel plans without issue. You may not have your license, but a police report and any documents and cards you may have on your person will be advantageous for you. Most victims of identity theft fail to ever get the police involved, but when you’re in a different country, for example, alerting the police and filing a report may be the difference between being able to travel or not. What can I do today as a preventative measure? That same ‘08 column from the USA Today advises everyone to have a photocopy of their IDs to serve as a backup in case of emergency. A photo copy of a passport or license may not qualify as a legal, valid form of identification, but it’s something to fall back on to prove who you are if you find yourself without your actual ID. 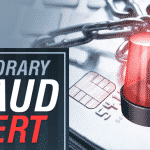 There are dozens of “home remedies” and steps you can take as preventative and precautionary measures to build a defense against your own identity theft. Nothing is more secure and foresighted as becoming a member of an identity theft protection agency, such as Identity Guard or LifeLock. Identity theft is the fastest growing crime and computer complaint in America. And in this digital age, the more computer usage we engage in, the more chances of our information being taken and being taken advantage of. Most of these protection firms offer around the clock, 24/7 service. At any time of day, you can take a major step in ensuring your safety. There’s no need to wait until business hours once the weekend is over. With dedicated specialists to work with, the customer service goes above and beyond to lock down your information and protect yourself. Most importantly, you are notified upon suspicious activity involving your accounts and your social security number. You could be internet shopping from your couch or backpacking through Europe; you will be safe from criminal activity on your accounts and identity. There is no downside to having professionals monitor your credit activity, online reports, public records, and more. Identity theft can ruin your travel plans. Follow our prevention tips to avoid identity theft and enjoy peace of mind on your vacation.